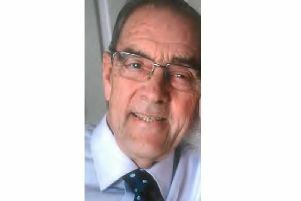 Tributes have been paid to a former long standing West Lindsey District Councillor who has sadly passed away after a short battle with pancreatic cancer. Stuart Curtis, 72, of Scothern Lane, Sudbrooke, passed away, on Monday, October 9. Stuart stepped down from his role at the council earlier this year. Chairman of the Gainsborough Constituency Conservative Association, Ashley Perraton-Williams, said: “It is with great sadness that I learnt of the death of a stalwart friend of the Association. “Stuart Curtis had been a dedicated local councillor at West Lindsey District Council for 18 years. “I did not know Stuart as well as I might have wished, however, I know that he will be greatly missed by all those who knew him. Stuart was a long-standing member of the local Conservative branch and regularly attended meeting until recently and helped out with numerous fundraising events. Stuart lived in Sudbrooke all his life. On leaving school he was employed by Lincoln solicitors Burton and Co., and remained with them for more than 50 years until his retirement. Stuart qualified as a Fellow of the Institute of Legal Executives specialising in residential and commercial conveyancing and was made Chairman of the Lincolnshire and South Humberside branch of the institute. Stuart became a class one football referee and his most memorable game was a testimonial game Lincoln City vs. Watford in front of more than 5,000 spectators. Stuart served as a member of West Lindsey District Council from his first election, without party affiliation, before shortly thereafter joining the Conservative group on the Council. He was first elected as an Independent in 1999 to the newly formed Sudbrooke Ward in all-out, whole council elections, following a boundary review which established the ward by combining the parishes of Sudbrooke, from the former Witham ward, which included villages such as Cherry Willingham and Reepham, and Scothern, from the former Dunholme ward. He was re-elected the subsequent year in an uncontested election. In 2004 he stood for the first time as a Conservative Party candidate and retained his seat against his Liberal Democrat opponent and was subsequently re-elected with an increased majority in 2008 in a repeat of the previous contest. Following the move away from election by thirds, in 2011 Stuart secured his return to the Council again increasing his majority over his Liberal Democrat opponent. He was subsequently re-elected in 2015 with a substantial majority over the Labour party candidate and a Liberal Democrat challenger. Stuart was well known as a dedicated local councillor and served on numerous committees and outside bodies during his time on the Council. Most recently he had served as Chairman of the Planning Committee and been a key figure in bringing forward the Central Lincolnshire Local Plan. With his health deteriorating he decided it was time to step back from his public service and at the end of August he relinquished his role as a West Lindsey District Councillor. Stuart also served as a member of Sudbrooke Parish Council for over a quarter of a century and was a founder member of the Sudbrooke Village Hall Committee and continued to serve and support until very recently. The flag outside West Lindsey District Council’s Guildhall, in Marshall’s Yard, Gainsborough, is being flown at half-mast until the day of his funeral in recognition of Stuart Curtis’ dedicated service to the authority. Stuart is survived by his widow Lyn, his children and grandchildren.